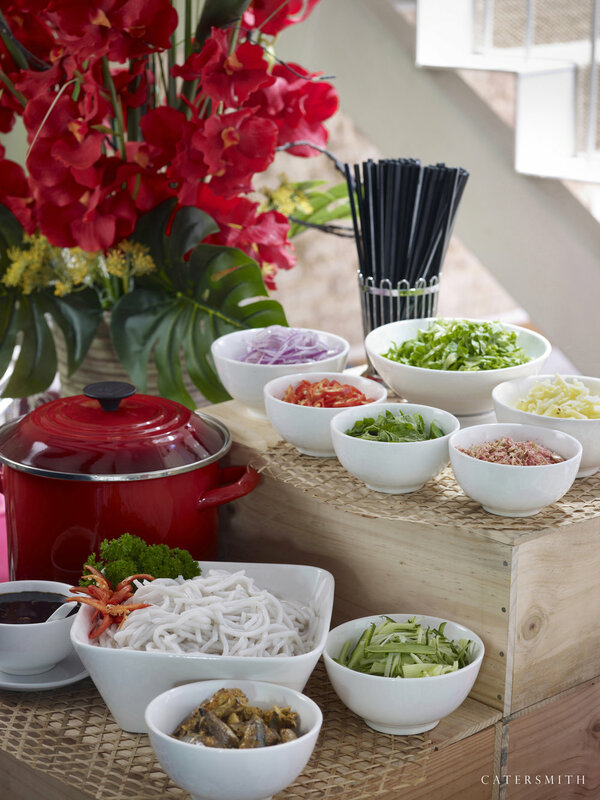 Impress your guests with specially curated Penang favourites. Live stations available. By popular requests from existing customers, we have started a catering arm for our Penang food. We aim to bring our restaurant quality, authentic, Penang food to your event. We have a track record of positive media reviews – including from ST food critic Wong Ah Yoke, social media influencers like Ms Tam Chiak, Lady Iron Chef and many other food critics. With availability of live stations and specially curated Penang favourites (Penang Assam Laksa, Penang Rojak, Penang Hokkien Prawn Noodles), we are confident that your guests will be impressed. We are also happy to share that we have vegetarian options (upon request). Partnering with professional catering logistics firm, Catersmith, you can expect high standards in both the quality of food and the buffet line set-up. CLICK ON THE ORDER ICON BELOW for menu options and bring Penang Catering to your guests now. Alternatively, email catering@gdgroup.com.sg for queries.